Our Film Review Roundup is designed to help those itching to take in a flick make informed decisions, and this week's edition is no different. Get the scoop on these new films via our reviews below before you hit the theatre, then stop by our Recently Reviewed section for more on the latest film releases. Read on and have a cinematic weekend. 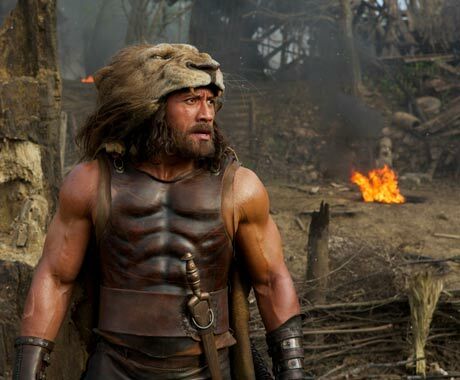 Brett Ratner's take on the classic Roman mythological tale of the demigod Hercules finds Dwayne "The Rock" Johnson taking on the titular role. It's a fresh and surprising take on a classic tale but does this update hit the nail on the head, or totally miss its mark? See what our reviewer thought of the Rock's heroic role at the link above. Scarlett Johansson seems to be on a bit of sci-fi kick lately. Her latest endeavour, Lucy, explores what would happen if humans could function at their brain's full potential, but while the concept is intriguing enough, Scar-Jo's highly anticipated blockbuster turns out to be an overhyped flop. Click above to find out why our reviewer is calling this film "sophomoric" and "half-baked." Cinephiles and thespians alike will want to read our review of A Master Builder, directed by Jonathan Demme. Adapted for the silver screen from a Henrik Ibsen play, it blends theatrical elements into a cinematic medium. Our review has all the details on this dense new film. Finally, our critic analyzes the film's superior cinematography, the origins of the storyline and Phillip Seymour Hoffman's final performance in his review of A Most Wanted Man. Read it in the link above. Looking for more? Head over to our Recently Reviewed section for the latest reviews of film, music and more.